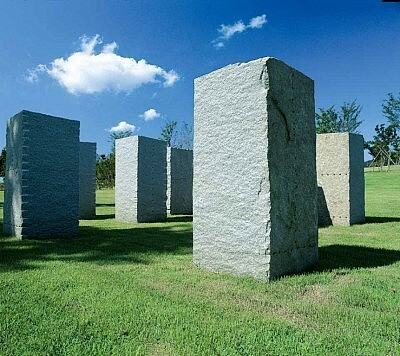 This group of large stones bursting from the ground expresses the strength of the earth. The rectangular slabs may seem bold at first glance，but they also convey the meticulous and contriving sense of the artist. Approach the stones slowly，from a distance. How does their appearance change?